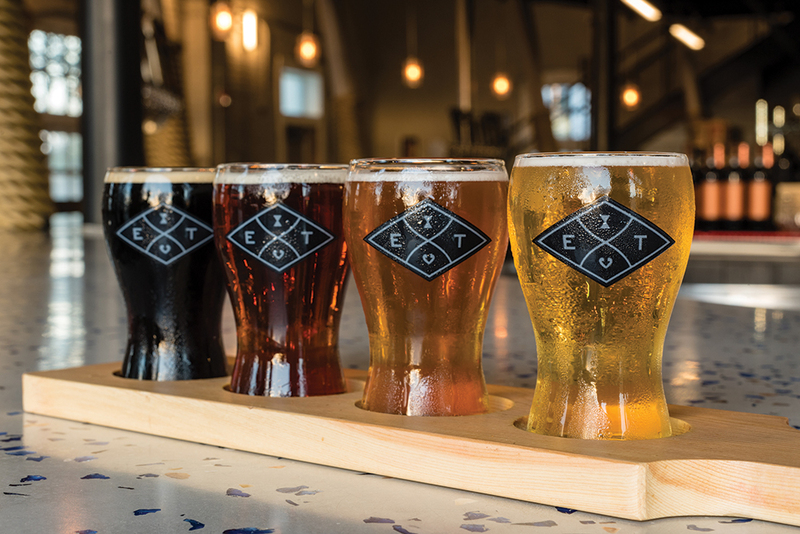 Set in a 111-year-old historic firehouse on North 4th Street in Downtown Wilmington’s Brooklyn Arts District, Edward Teach Brewery features a classy, almost subtle nod to the most infamous pirate of all: Blackbeard, who 300 years ago was a regular on the shores and shallows of North Carolina’s coast (and whose proper name was Edward Teach). On Thursday, Friday, and Saturday, pair your craft beer with LIVE performances from the best of the best local musicians and bands. For the wine drinker in your party, Edward Teach stocks favorite local and international wine varietals. They also stock fresh, delicious snacks and treats from “The Veggie Wagon,” which pair perfectly with cold beer. Visit them on Facebook or Instagram to check out their most up-to-date hours and beer selections.